It’s everything you wish for…and more than you imagined. 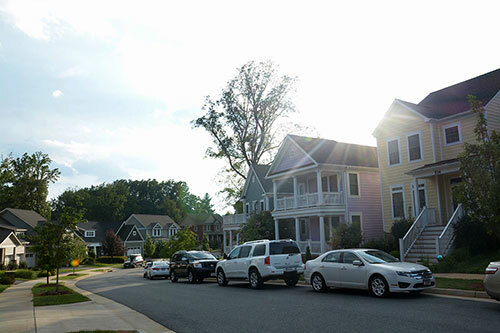 Founded on the principles of sustainability, healthy living and great streets, Belvedere is a convenient neighborhood in Charlottesville unlike any other. It is that most sought-after hybrid—combining the best of urban and country living. It’s located in scenic, Central Virginia in Albemarle County, with spectacular views of the Blue Ridge Mountains, rolling terrain and a park-like setting, with miles of lush walking and biking trails, on the banks of the Rivanna River. And yet, it’s just 2.5 miles from lively, downtown Charlottesville, where you’ll find great shopping, dining and entertainment, world-class healthcare—and one of America’s great universities. 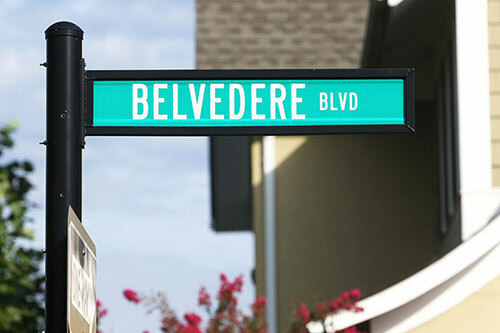 Plus, Belvedere is unlike any other neighborhood in Virginia. Here, we consider ourselves urban by nature. 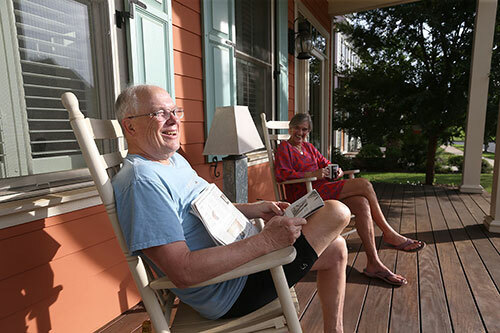 That’s why Belvedere offers a walkable community that is conducive to making connections with neighbors, while maintaining a healthy, eco-friendly lifestyle. Soon, you will be able to walk your child to preschool, their sports practice, or the swim club. Meet a neighbor at Belvedere Station for a muffin and coffee, take your kid’s to their dental appointments, then head to yoga class. Stop by at the Village Green for the weekly farmer’s market. 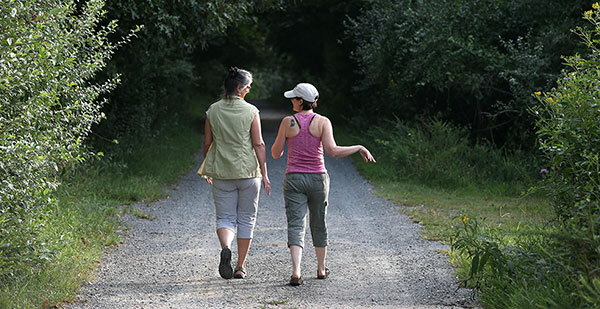 Or enjoy a beautiful Virginia day and go for a stroll on one of our walking paths. Grab your bike, and in a few minutes, you’ll be in downtown Charlottesville. This is the essence of the urban by nature living that you’ll find at Belvedere. 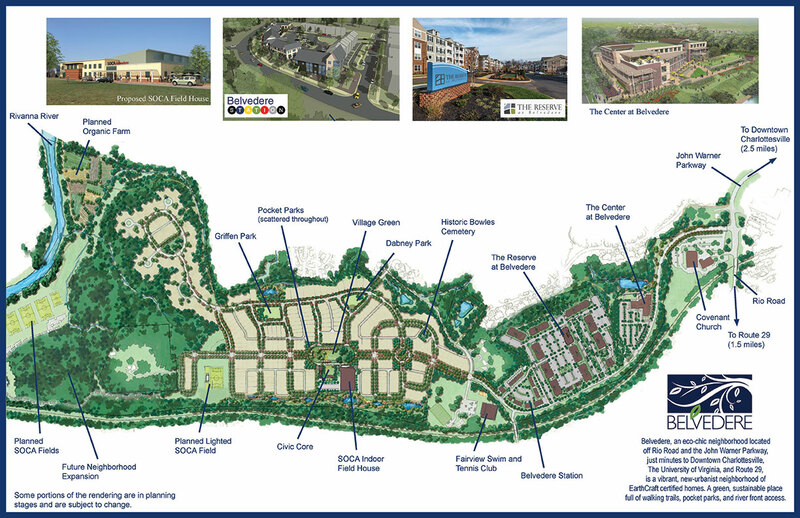 Take your pick; each lot is treated individually, as reviewed by the Design Review Committee to insure conformance with Belvedere’s Code of Development, and to provide for a well-planned, cohesive and varied streetscape with its own zoning. If you’re looking to add a Carriage House or maybe build a Villa with a first-floor master—don’t cross anything off your wish list. 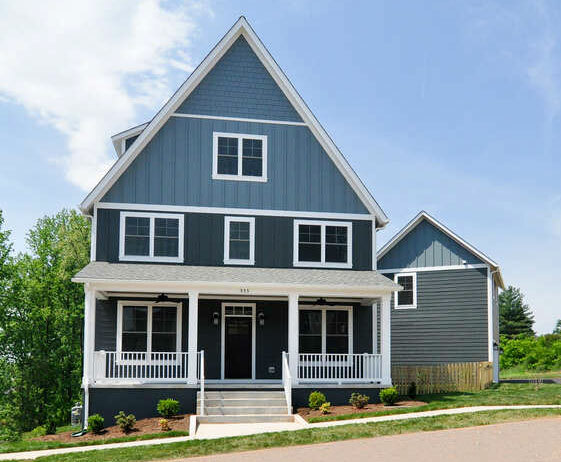 Because at Belvedere, our team of regional and local builders is assembled to serve each and every one of your building requirements here in central Virginia.